If you have broken, chipped, or damaged teeth; or if one, several, or all of your teeth are missing, prosthodontics can be the dental specialty to help restore your smile. At Scripps Center for Dental Care, our experienced dental professionals utilize the latest reconstruction techniques, including fixed partial denture (FPD), removable partial denture (RPD), complete denture (CD), dental implants, implant-supported dentures, and implant retained dentures commonly known as All-on-4®;. Our goal as a patient-centered practice is to provide long-lasting, natural-looking results in less time and with greater comfort than ever before. When you arrive for your initial consultation, we will develop a customized treatment plan tailored to your singular needs and goals. Cases are planned and administered by a highly trained prosthodontist in a comfortable office setting. Additionally, we offer abundant patient amenities to enhance your experience while in our care. 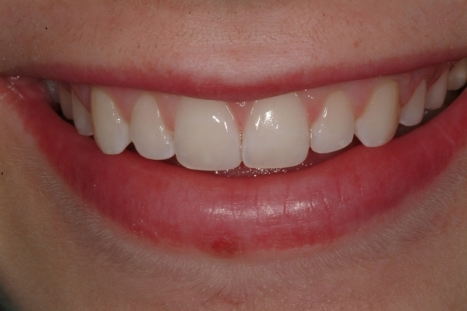 Treatment with our skilled prosthodontist can help you achieve the smile you’ve always wanted. Contact us today to learn more, or to schedule a consultation. Scripps Center for Dental Care is proud to offer the innovative “Teeth in a Day”™ system from Nobel Biocare®. With this state-of-the-art technology, our multi specialty team can complete the implantation process in one minimally invasive session, which is virtually painless for the patient. Now, our patients can have a stunning smile in the same day! This treatment option is truly transformative producing the form, function, and smile you have always dreamed of. The process begins with consultation and is a team approach with board certified prosthodontist, cosmetic dentist, oral surgeon, and laboratory technician. When the treatment options have been agreed upon by all involved, the first treatment appointment is scheduled and usually performed while you are sleeping comfortably under the care of our anesthesiologist. Upon waking, your new teeth will make you smile with confidence. The teeth at this point in the treatment are temporary and will remain in place while all the dental implants heal. Once healed, our board certified prosthodontist will work with you to create the smile you have always dreamed of with all the strength and support you need. If you would like to learn more about the amazing “Teeth in a Day”™ process from Nobel Biocare®, please contact our office or read more about All-on-4®. There are many benefits to choosing implant-supported dentures, including improved oral comfort and hygiene. 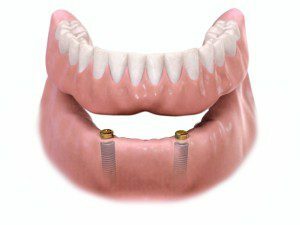 Denture creams and pastes wont be necessary to securely hold the appliance, it will be supported by the dental implants. As a result, food is less likely to slip between the gumline and dentures, where it could allow bacteria to build up. The implant supported dentures are easily removed for ease of cleaning and maintenance and snap right back into place in the mouth. We use advanced techniques and integration of the latest technology to create customized dentures made to match your smile, giving you enhanced form and function in one. Fixed and removable partial dentures are treatment options that can replace one tooth or several missing teeth. FPDs, commonly referred to as ‘bridge’, are bonded to the adjacent teeth located on either side of the missing tooth or teeth. These are an excellent option for replacing missing teeth and most of our patients report they don’t notice missing any teeth at completion of treatment. An RPD, commonly referred to as a ‘partial’ on the other hand, replaces one or more missing teeth by resting on top of existing teeth and other oral structures and comes in and out of the mouth making it easy to clean. 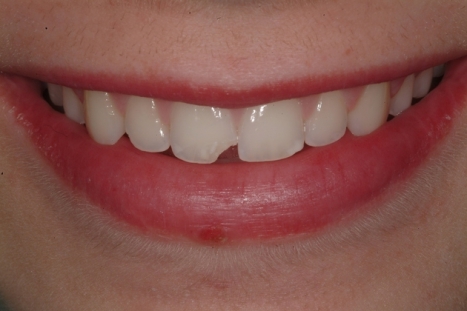 RPDs can be an excellent treatment option to restore missing teeth when implants and bridges are not indicated. Both approaches are designed to be long-lasting, and the restorations will be customized to precisely match your smile and cosmetic goals. 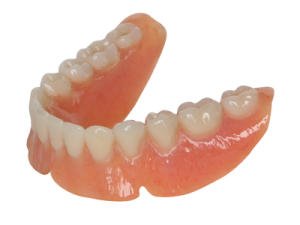 A full set of dentures can be a versatile and effective way to replace all missing teeth. 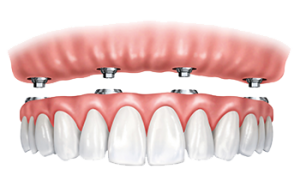 Many patients who are not candidates for dental implants select dentures as a viable alternative. 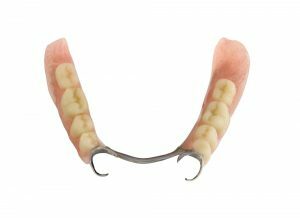 These devices have changed dramatically over the years, and modern dentures offer a multitude of benefits—such as enhanced durability and comfort—compared with earlier designs. We will develop a set that feels as comfortable and looks as natural as possible specifically for you. Jaw pain can occur as a result of many influences; however, the most common cause is a condition called temporomandibular joint (TMJ) disorder, or temporomandibular dysfunction (TMD). Approximately 10 million Americans are affected by this concern, which can result in difficulty eating, speaking, and opening and closing the mouth. At Scripps Center for Dental Care, our San Diego dentists can diagnose the origin of your jaw pain and develop a customized treatment plan that can alleviate discomfort, improve jaw function, and reduce recurrences. Our multi-specialty practice offers access to some of the best-trained dental professionals in the country, and our team is focused on providing you with exceptional care. Learn more about TMJ disorder. If you would like to learn more about prosthodontics and full mouth reconstruction, please contact our office today. Our friendly and knowledgeable team can answer your questions or help you schedule a consultation.